Remember the Yellow and White Pages? Do you use them anymore? Well these days you need to be found in different places. It’s not easy to get to the top of the Search Engine rankings. Yet it is most definitely worth it. A too often overlooked opportunity for Local Businesses is Google Places for Business. 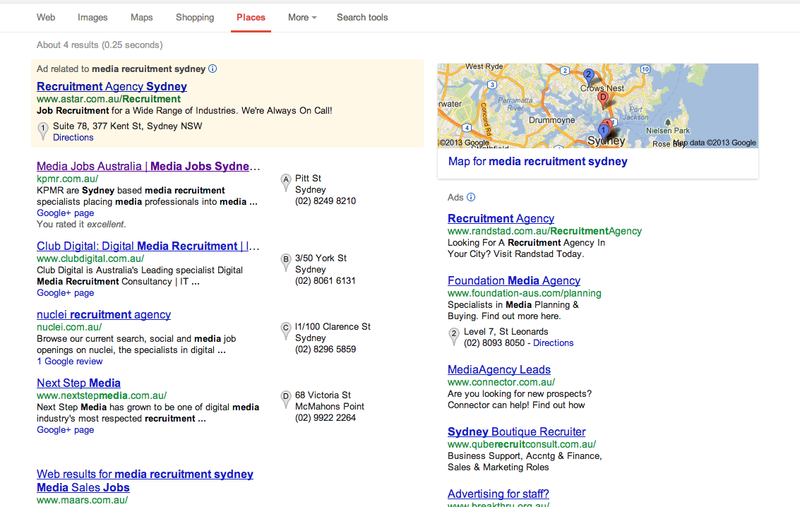 Google Places is becoming more and more important to be found in the search results. With the advent of mobile and local search, Google is listing local results even higher in the listings. If you Google your business (or a competitors), you will see that it is the businesses that have Google Places listings that appear at the top of the organic search results. By creating a Google Places for Business listing, you will automatically get a Google+ page allocated to your business. Use your true business address (the same that is or needs to be on your website and in every other entity you have online). You can hide this address if you are working from home and service businesses outside of your home office. P.O Box addresses are not permitted. Whilst seeking to be keyword phrase rich, avoid keyword stuffing. The balance means the difference between your listing being approved or banned. Include images or videos that pertain directly to your business. Are owned by you. Do not use someone else’s images or videos direct off the web as it will dilute the authority of your listing. The authority of your website will also affect the authority of your Google Places for Business / Google + listing. The Google Plus listing does not act as instead of a Website. It will perform badly if your website is not of good quality in Google’s eyes. Your activity online, including Social Media accounts in the Business’s name will also positively impact your Google Plus listing, if these Social Media accounts have also been set up correctly and location, web address and contact information is the same through out all. Listing your website in other free and/or paid Directories relevant to your business category and physical location will also assist in building the authority of your Google Plus Listing and your Website. Again all information pertaining to your location, contact detail, and url used needs to be consistent between everything. However where a piece of copy is required (typically restricted by the number of characters) in the Directory, it must be different to the copy in your Google Plus listing, but related. The same rules about resisting keyword stuffing and finding that delicate balance hold true for Directory listings. We would welcome assisting you with correctly building your Google Plus listing and ensuring you are in the appropriate Directories for your business, listed in the way that meet the terms and conditions of that Directory and also ensure that the all important Google Spiders find it and connect it with the Google Plus Listing and your Website.